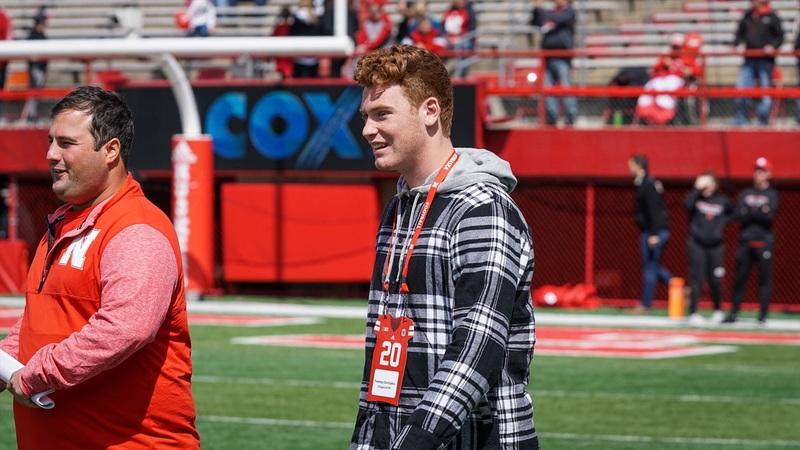 Nebraska hosted a number of intriguing visitors on the sidelines and at midfield prior to the sold-out spring game at Memorial Stadium on Saturday. One prospect that you can’t help but notice is 3-star (HV Rating: 84.8) tight end Tommy Christakos‍. The Arizona native stands at 6-foot-4, 200 pounds and tight ends coach Sean Beckton thinks he would make a great addition to his room.